The topic is how to make the most of your annual review, and listeners to the podcast can receive a free download to help you do that. The podcast is “for ambitious attorneys looking for success and satisfaction in life and law,” but most of the episodes (including this one) apply to any professional trying to make it all work. Check out the episode and let us know what you think. Holiday Stress Have You Stressed? Does the prospect of “ho ho ho” have you thinking “no no no”? In the next few weeks, we’ll share resources on how to reduce the stress of the end of the year and the holidays. 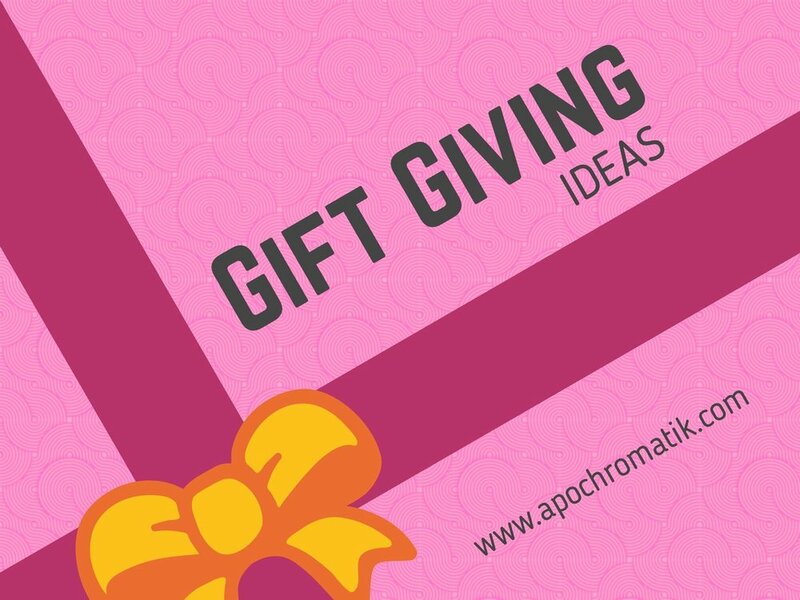 First, advice from Apochromatik’s Amy M. Gardner is featured in this Brit + Co article on how to reduce the stress of exchanging gifts with your significant other. Are you busy? Not feeling "put together"? Big meeting? Not enough sleep? Case of the Mondays? Apochromatik's Amy M. Gardner is quoted in this Bustle.com post on 25 Easy Ways to Instantly Feel More Put Together. Bustle even describes one of Amy's ideas as "genius." Check it out, and let us know what you think!